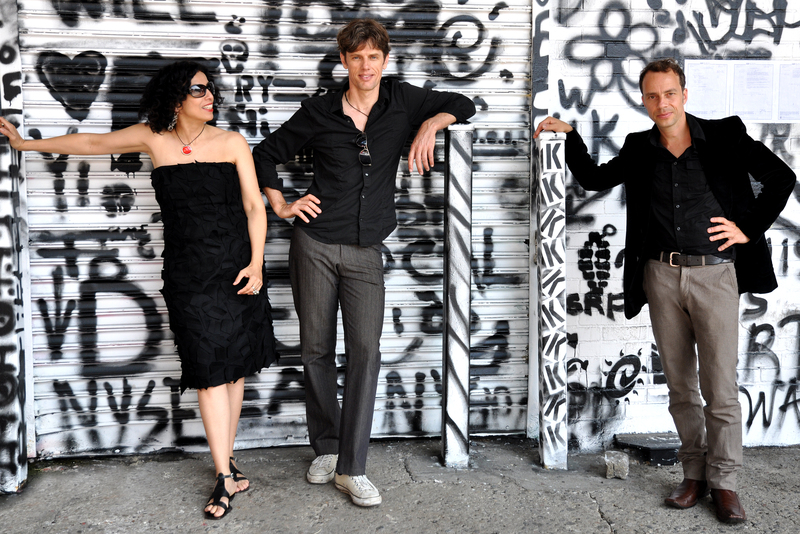 BOSSARENOVA TRIO is a transatlantic trio consisting of Paula Morelenbaum, Ralf Schmid and Joo Kraus. It was 2011 in New York (SOBs) and San Francisco (Yoshi´s) where BOSSARENOVA TRIO gave their first concerts. After more appearances on european festival stages, they recorded the album “SAMBA PRELÚDIO” (SKIP records, 2013) and accomplished to draw attention of the largest German jazz magazines receiving enthusiastic reviews, as the project’s sound goes deep under the skin. For the first time we can witness the combination of German and Brazilian musical heritage on one record, from Schubert over Schumann to Villa-Lobos, musically distilled and reinterpreted, at the same time intriguing as much as moving – crowned by a beautifully minimalist sound. Without disregard for the spirit of the times nor the classical forms, a characteristically unique blend is created representing an own musical language, which speaks for the BOSSARENOVA TRIO. Their work is nothing less than bridging the gap between cultures, which connects the classical european „Lied“ with the South American way of expressing music – a combination of bossa nova, jazz and classical music, which has never been attempted before. Up to now they have presented themselves with a series of fruitful live performances in exclusively prestigious venues such as BASF – Haus in Ludwigshafen, Alte Oper Frankfurt, Luxembourg Philharmonie, Nikolaisaal Potsdam, Half Note Athens, Blue Note Milan, Jazzkaar Tallinn, Porgy & Bess Vienna, and Mosaic Music Festival in Singapore, receiving standing ovations from the audience.